Our guide will help you choose a martial art that’s right for you. There’s an enormous number of articles, blogs, forum posts and YouTube videos tackling the topic of “the best martial art”. Understandably, the focus tends to be on combat or self defence effectiveness, but there are also other benefits to practising martial arts that are typically overlooked. The reporting and online discussions also tend to lack objectivity, as martial arts practitioners passionately argue the merits of their system or school, whilst talking down the merits of others. It’s all too common to see proponents of various martial arts battling it out by keyboard in heated discussions over which martial art is superior. These fiery debates are not all that helpful for newcomers looking for advice on choosing the right martial art for them. The ‘best martial art’ is the one that’s right for you and your goals. Our guide will help you to choose a martial art on that basis. Before we get to your goals, let’s take a quick look at some of the benefits of practising martial arts. if you pursue it as a sport (e.g. competing in tournaments) – potential accolades and prizes! Most martial arts will offer these and other benefits, but some have a focus or application that makes them particularly suited to people with certain goals. For example, some of the martial arts that are particularly well suited to pursuing as a sport include: Boxing; Brazilian Jiu-Jitsu; Judo; and Taekwondo. Establishing what your goals are should be easy. It’s an exercise of self-reflection and it doesn’t need to be complicated. Your goals might be summed up in one word or it could be a few dot points. You can just answer a few simple questions to work out what your ‘why’ is. The key question being: why do you want to learn a martial art? To become more confident and self-assured? To feel safer and more able to defend yourself? To be fitter and healthier? It could be a combination of these reasons. There are a lot of martial arts, but many of these aren’t widely available to learn. We’ll take a look at the most popular martial arts that are commonly taught across Australia. The martial arts are listed in alphabetical order and are not ranked against each other. These overviews should be assessed against your goals, because that’s how you can select the best martial art for you. Aikido is a Japanese martial art with a somewhat unusual philosophy. The principle aim of Aikido is for practitioners to be able to defend themselves whilst also protecting their attacker from injury. Ideally, Aikido practitioners will harmlessly redirect attacks, with neither defender nor attacker being hurt. Principle techniques include throws, joint locks and grabs. There are also some strikes using hands, such as a vertical knifehand strike. Weapons and weapon disarming techniques are also trained in some schools. Weapons include a short wooden staff (jō), wooden sword (bokken) and wooden knife (tantō). Boxing is a popular combat sport that allows only punching (no kicks, elbows or other striking). Boxing classes are widely available across Australia. Boxing is excellent for overall fitness. So much so, that there are numerous fitness programs and classes based on boxing techniques. For practising at home, it’s well worth investing in a punching bag. 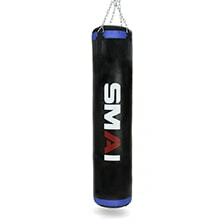 We recommend SMAI Punching Bags for their high quality and durability. Brazilian Jiu-Jitsu, often abbreviated as BJJ, has a particular emphasis on ground fighting. The system is heavily focused on grappling techniques, such as joint-locks and chokeholds. Most Brazilian Jiu-Jitsu schools place very little emphasis on standing techniques, such as striking. A combat sport in its own right, Brazilian Jiu-Jitsu also features heavily in the training programs of competitors in mixed martial arts (MMA) tournaments. For those that don’t have a training partner to practise with at home, the SMAI Tactical Grappling Dummy and SMAI MMA Grappling Nuggets are excellent training tools. Capoeira was developed by African slaves in Brazil at the start of the 16th century. The Afro-Brazilian martial art is a fusion of acrobatics, dance, music and self-defence. It has a particular emphasis on using the lower body to kick, sweep or take down opponents. Capoeirista (practitioners of Capoeira) maintain a constant state of motion, with the ginga (rocking back and forth in a swaying motion) being a fundamental movement of Capoeira. Defence is focused on evasive moves to avoid attacks, rather than blocking them. Capoeira is notoriously difficult to predict. Capoeirista make use of fakes and feints to fool their opponents. Given the acrobatic nature of Capoeira, it’s a fantastic martial art for fitness. Judo is a Japanese martial art and combat sport. Judo techniques include throwing, grappling and striking. However, striking isn’t used very often and is not allowed at all in Judo competitions. For safety reasons, judoka (practitioners of Judo) train in ukemi (break falls) and practise on tatami (rice straw mats). For training at home, we highly recommend the SMAI Judo Mat (much easier to clean than traditional tatami!). Karate is a Japanese martial art and combat sport that was influenced by Chinese Kung Fu. Karate is predominantly a stand-up fighting style focused on striking. Strikes include punches, open-hand techniques, kicks, knees and elbows. Some styles will also include other techniques, such as grappling, throws and joint locks. Weapons, such as nunchaku (often called ‘nunchuks’), sai or tonfa are also trained in some styles. Karate is a very popular martial art and is widely taught across Australia. Kendo is a Japanese martial art focused on sword fighting. Kendōka (practitioners of Kendo) use bamboo swords (shinai) and protective armour (bōgu). Modern swords are often made out of other materials, such as rattan (stems of a palm) or carbon fibre. We recommend the SMAI Shinai for Kendo training. Krav Maga is a modern martial art that incorporates aspects from several other martial arts, such as Boxing, Wrestling and Judo. Krav Maga was designed to be a simple and effective fighting style that could be quickly and easily taught to personnel in the Israel Defense Forces. When confrontation is unavoidable, Krav Maga practitioners are trained to finish a fight as quickly and aggressively as possible. Attacks are targeted at the most vulnerable parts of the body, such as the eyes, neck or groin. Krav Maga includes a variety of strikes, such as punches, kicks, elbow and knee strikes; along with grappling, trapping, throws and chokes. It also emphasises defence against attackers with weapons, including disarming techniques and even using an attacker’s own weapon against them. Like Wing Chun Kung Fu, it also includes simultaneous defensive and offensive techniques. Muay Thai, also known as Thai Boxing or Thai Kickboxing, is a combat sport originating from Thailand. Muay Thai is known as the “Art of Eight Limbs”, due to its use of two fists, two elbows, two knees, and two shins. It’s a stand-up fighting style focused on striking, but also includes clinching techniques (grappling while standing). Muay Thai can be a gruelling sport given the use of elbows, knees and shins; and injuries are common. Competitors need to condition their shins through repeated striking on a heavy bag or other training equipment to harden the bone. Punching bags are very useful for practising Muay Thai. Taekwondo is a combat sport that’s best known for its kicking strikes, in particular its impressive head-height kicks, jumping and spinning kicks. Although the emphasis is firmly on kicking strikes, the system also includes blocks, punches, grappling and holds. Taekwondo heavily emphasises speed and agility. Practitioners will be trained to deliver multiple kicking strikes in rapid succession. Kick pads and punching bags are very useful training tools for Taekwondo. Protective gear, such as shin guards and foot guards is also recommended for training. Wing Chun has been popularised in movies by famous practitioners such as: Bruce Lee and his son Brandon Lee; Jackie Chan; Robert Downey Jr; and Donnie Yen. The Ip Man movie series starring Donnie Yen has been widely credited for the most recent popularisation of Wing Chun. Wing Chun is mainly focused on rapid striking and blocking, but also includes grappling and trapping techniques. Strikes includes punches, palm strikes, elbows and kicks. Punches are predominantly done with a vertical fist (i.e. rather than a horizontal fist as is typical for most other martial arts). Simultaneous defence and attack is a key feature of the Wing Chun system. For example, a Wing Chun practitioner may block a punch with a Pak Sao (‘slapping hand’) using their left hand, whilst also delivering a palm strike to the attacker’s neck using their right hand. 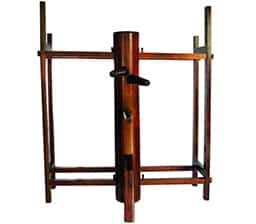 The ‘Wooden Dummy’ or ‘Wooden Man’ is essential for Wing Chun training and conditioning. We recommend the SMAI Freestanding Kung Fu Dummy, which is crafted from high quality rosewood. Some schools will also teach weapons techniques, such as the use of butterfly swords. Bruce Lee later developed his own style named Jeet Kune Do (often abbreviated as JKD). Wing Chun heavily influences the Jeet Kune Do style, so it’s considered to be a form of Chinese Kung Fu. 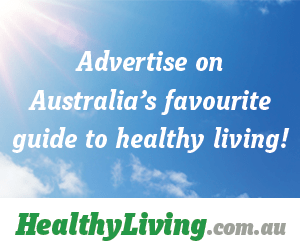 It’s not widely available in Australia, so we haven’t included Jeet Kune Do in this article, but it’s certainly worth checking out if it’s offered in your local area. The best way to find out whether a martial art is for you is to just give it a go! Many martial arts schools offer a free lesson or two, so you can find out if it’s right for you (and equally so they can see if you’re the right fit for their school).